The popularity and accessibility of online casinos have been rising in the past decade for several major reasons – they offer fun and convenient gambling entertainment, but even more importantly, they provide its customers with a potentially profitable way to play from home. And to make the most of their time online, slots, roulette and blackjack fans need to learn how to properly choose the best casino bonuses. Understanding the bonus terms and details often hidden in the fine print will help them turn the odds in their favour. Most experienced casino players are well aware of the fact that popular classics such as slots, blackjack, craps or roulette are designed in such a way that the casino can always have the advantage. In other words, punters are almost always more likely to lose in the long term. Still, gambling operators manage to tempt players with different incentives. In brick-and-mortar casinos across Las Vegas, for instance, you would expect gifts and perks such as room upgrades or free meals. When it comes to online casinos, however, the bonuses are monetary rewards and they are intended to attract new customers, recognize loyal players, and offer some compensation for the inherent house advantage of the games. There are many types of bonuses and they vary across gambling sites, but one common characteristic they share is the range of strict rules and conditions they all come with. Some welcome packages include bonuses matching the amount of the deposited funds, others grant cash rewards with no requirement for a deposit, while there are also casinos that give new customers free spins on slot games. Unfortunately for players, though, bonuses are rarely cashable. 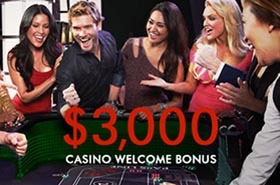 Oftentimes, you are required to play through the full amount of the bonus multiple times. In other instances, the promotions are restricted to residents of select countries. To avoid the common confusion and misunderstandings that are often associated with casino bonuses, you need to learn the basic types you are likely to receive as well as the proper way to use them. The promotional offers available at different online casinos have their individual specifics but we can outline several basic types of bonuses – no deposit bonuses, first deposit bonuses, free spins, and the so-called sticky bonuses. Most casinos on the Internet will offer at least one or two of these and what players should determine first is whether the advertised promotion is advantageous or not. This can be considered the simplest type of bonus because, in order to receive it, players need to only register a new account at the casino where it is offered. Usually, this bonus is not worth much, but at the same time, it allows casino enthusiasts to place real bets without investing any of their own funds. Therefore, they can test the new casino and the games hosted by it, while having the opportunity to generate some real winnings. The no deposit bonus may be credited to players’ bonus balance automatically but in some cases, they may need to claim it manually by using a promotional code or contacting the customer support. One of the most important things to take into account when playing with this type of casino bonus is the maximum amount players are allowed to withdraw from it. 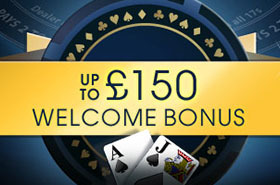 A maximum cash out of five times the bonus amount is usually considered an acceptable offer, so if it is larger, players are advised to claim it. If the maximum cash out allowed is less than 5 times the size of the bonus, it will probably be not worth it. Another thing to look for is whether the casino requires a certain deposit to be made before the winnings from the bonus can be withdrawn. This is the most common welcome offer in online casinos, although it is different for each website, at least in some respects. Normally, with this bonus, online gambling providers match the amount of funds deposited by players for the first time. Such offers, if generous enough, manage to attract huge numbers of new members and are, thus, highly featured on various casino and gambling-related sites, blogs, etc. When a qualifying first deposit is made, it may be doubled with a 100% match bonus. Alternatively, the percentage may vary – usually from 50% to 200% of the deposit amount. It is always better to choose a bonus where this percentage is higher. However, players need to take into account the wagering requirements that are usually associated with these first deposit bonuses. We will discuss them in more detail in the sections below. Another type of bonus that can be seen in a large number of online casinos includes a certain number of free spins, which are often rewarded as part of a welcome package. Free spins on slot games are also provided by gambling operators when promoting a new game and such offers run for a limited time. Of course, this is also a popular way to draw in new customers, as players have a chance to try out some of the games and see whether the casino is generous to them or not. The conditions and requirements that come with free spins also vary from one casino to another. For instance, there may be wagering requirements on the winnings generated from the free spins. Also, when no deposit is required to receive spins, a small deposit needs to be made before a withdrawal can be requested. Another thing players need to know before accepting a free spins offer is that these spins can rarely be used on all slot games hosted by the casino. In most cases, players are not allowed to use them on progressive slots and sometimes, the spins are valid only for a specific group of slots. When looking for an online casino to sign up and play for real money, players will come across many different promotions and welcome offers. Although not one of them is likely to be named a “sticky bonus”, this offer is, in fact, rather popular and the term “sticky” is used by experienced casino players. It refers to the fact that this type of bonus is not cashable. These so-called sticky bonuses are cash bonuses which are given to newly registered players with the purpose of allowing them to play real money games risk-free. They may appear as regular no deposit bonuses, but their amount cannot be withdrawn even after the wagering requirements (if any) have been met. Instead, players are encouraged to play with these bonus funds and try to win as much as possible, as the winnings from the bonus are cashable – anything that is above the initial bonus amount. Paying little attention to the conditions and requirements of casino bonuses may lead to a lot of confusion. In some cases, players cannot take advantage of the bonus they receive and instead of winning, they may end up losing funds. This is why understanding the specific rules and conditions of each casino bonus is so essential. A large part of the casino bonuses commonly offered to new and existing players have wagering or rollover requirements attached to them. They are usually explained in detail on the casino website. This requirement may be expressed in two ways – 25 times or simply 25x, and both refer to the number of times the bonus amount need to be placed as bets before a withdrawal can be made. For instance, if a player receives a £20 bonus with a 25x wagering requirement, he or she will need to place bets equal to £500 or more in order to meet the requirement. Some casinos also require the playthrough (once again, let us take 25x as an example) to be multiplied not by the amount of the bonus, but by the combined amount of the deposit and the bonus. 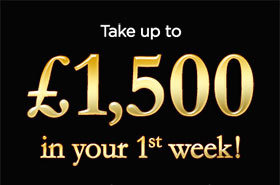 So, with a deposit and a bonus of £20, you will need to wager £1,000 (£40 x 25) before you can cash out any winnings. Wagering requirements are also associated with the winnings generated from free spins credited by casinos for special events or as part of welcome offers. Another important condition common for many bonuses offered by online casinos is the maximum cashout allowed. Players may not be able to withdraw all their winnings from a bonus if they exceed a certain amount. Usually, such cap on the winnings can be seen in no deposit bonuses. 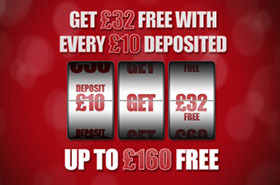 In many casinos, the maximum cash out is £150 to £300. Most promotions and free spins offers also last for only a limited time. In many cases, punters are required to use their free spins within 24 hours or a little more, while match bonuses usually expire after 30 to 60 days. There are also restrictions on the types of games bonuses can be used on. This applies to both free spins offers and cash bonuses, where the wagering must be completed on certain games or rather, some slots, card and table games are excluded from the wagering contribution. In most online casinos, only slot games contribute fully to the wagering requirement, while roulette, blackjack or video poker games contribute only a percentage. There are special tables with the wagering contribution of games which are displayed in the bonus terms and conditions. But to give an example, £100 bets on roulette will count less towards the playthrough than £100 bets on slots – only £60 of all wagers on roulette will contribute towards completing the wagering. Casino bonuses may be a wonderful way for punters to increase their chances of winning or even to play without risking their bankroll. Failing to understand all conditions or failing to meet the requirements of the specific bonus and the casino you play at may have unpleasant consequences. Should a player is found abusing the bonus and its conditions, the bonus funds and even the winnings from them will be forfeited. Punters may be prohibited from taking part in certain promotions, depending on the country they reside in. Before claiming a bonus, they need to review the terms of the casino and make sure they are eligible for receiving bonuses. As a general rule, players can have only one user account and can use a bonus only once. In most cases, they are prohibited from redeeming a bonus while another bonus is still active – this means that they may still have some free spins in their bonus balance or they have not completed the wagering requirements. So, before activating a bonus, punters need to clear all previous bonuses. If they request a withdrawal before the rollover is complete, the funds in their balance almost certainly will be voided. No-risk betting will also be considered abuse of the bonus, so it should be avoided by casino players. A classic example of no or low-risk betting is placing chips on black and red or on even and odd in roulette at the same time.